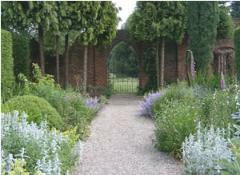 Come and join us for some outdoor cooking, craft and fun at the beautiful Walled Garden, Down Grange, Basingstoke. The staff at Inspero decided we should hold a cooking class with a difference during the summer holidays, so have a look if your diaries are free for Wednesday 23 August. 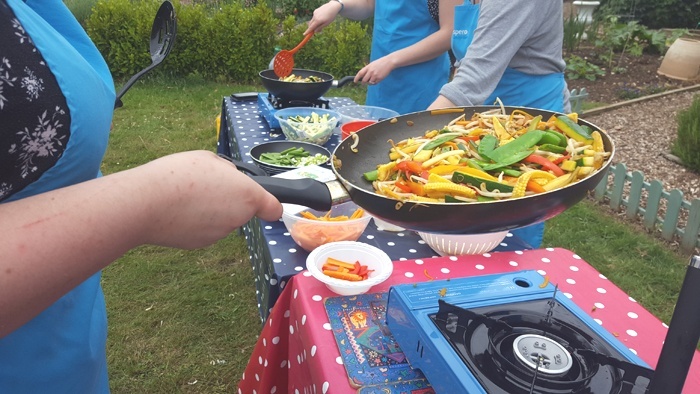 We’ve arranged a fun class for children aged 4 to 14 years, making a two course meal in the garden, cooking organic, delicious food that has been grown at Inspero’s community gardens by our young people and volunteers. 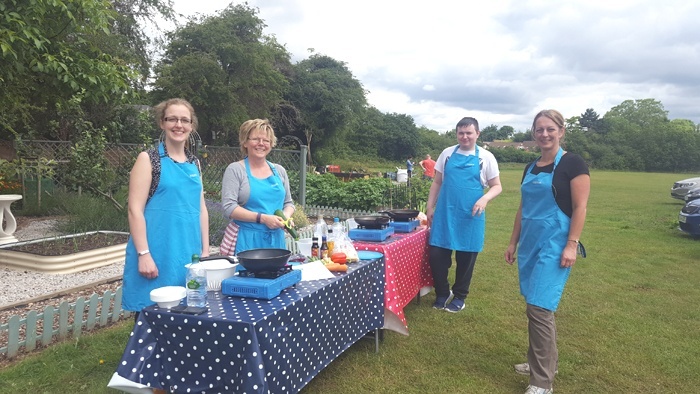 This is a fun and relaxed way to learn how to cook in the outdoors as well as play some fun games and create something special as part of our craft activities. That is such a nice place for outdoor cooking! Looking good with your co-staff and the food looks deliciously healthy. Thank you for your comment and we’re glad you approve of outdoor cooking!